It's mixed martial arts versus boxing again as the Tobikan Judan is set to rattle former WBA Super Flyweight champion, Yokthai Sithoar. Will boxing prevail over mixed martial arts at DEEP 50? It’s boxing versus mixed martial arts again as DEEP celebrates their 10th anniversary with a DEEP 50 event on October 24. As the organization confirmed, DREAM Lightweight champ Shinya Aoki will meet former WBA Super Flyweight king Yokthai Sithoar in the match. 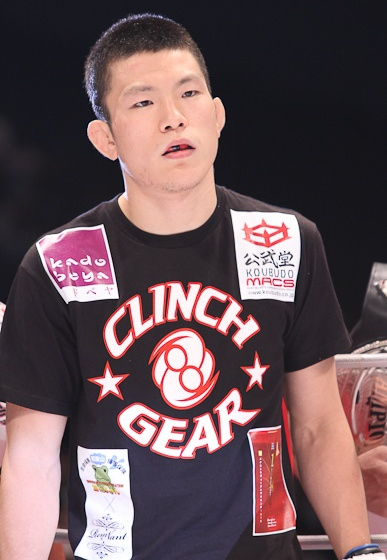 After suffering his defeat from Gilbert Melendez last April, Shinya “Tobikan Judan” Aoki flew back to Japan and garnered back-to-back victories since then. Aoki submitted Tatsuya Kawajiri at DREAM 15 last July, followed by a decision win over Marcus Aurelio at DREAM 16 last month. Yokthai Sithoar, on the contrary, will be making his mixed martial arts debut at DEEP 50. The former Thailand boxer has a record of 29-6-3 with 18 KOs in his resume. He retired from boxing last 2004, leaving the sport without a win since early 2003. The DEEP 50 will take action on October 24 at the JCB Hall in Tokyo, Japan.